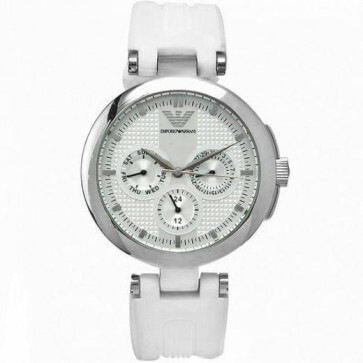 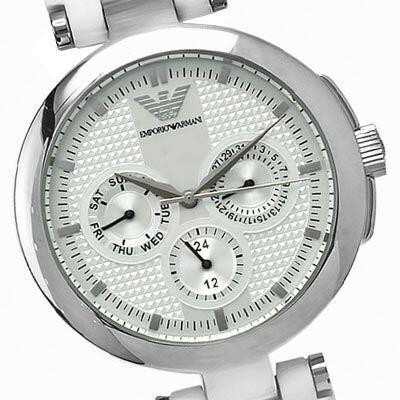 This chich ladies Emporio Armani watch has a silver multi-dial face with day/date feature. 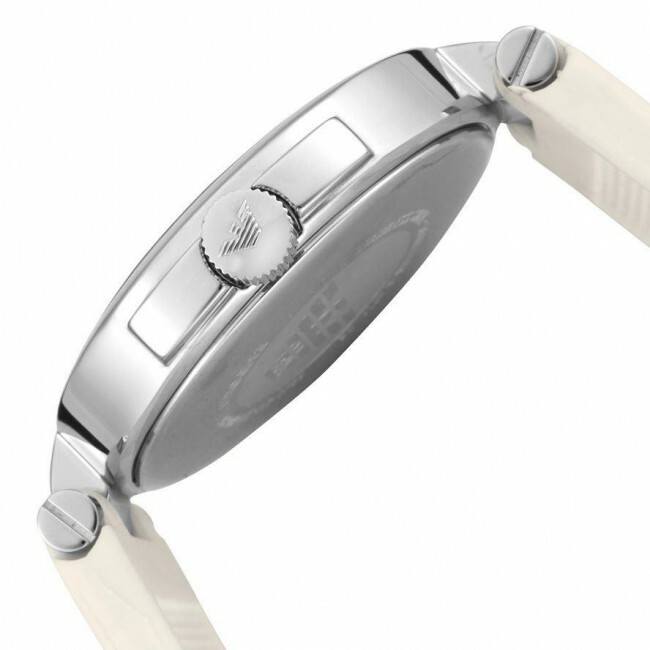 The watch fastens with a white rubber strap. This chich ladies Emporio Armani watch has a silver multi-dial face with day/date feature. 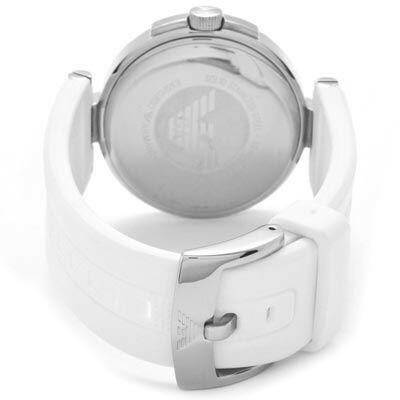 The watch fastens with a white rubber strap.